The Centers for Medicare & Medicaid Services (CMS) has issued a draft local coverage determination (LCD) allowing limited coverage for BRCA1 and BRCA2 genetic testing, both individually and as part of multi-gene panels. A personal history of female breast cancer and any of 11 indications pertaining to age of diagnosis, family history, and type of cancer. A personal history of other forms of cancer. Additionally, BRCA1 and BRCA2 genetic testing for breast or ovarian cancer susceptibility with multi-gene next-gen sequencing panels is covered as medically necessary for patients who meet all four criteria: Pre-test genetic counseling independent of the lab has been performed; post-test independent counseling is planned; all genes in the panel are “relevant” to a patient’s personal and family history; patient also meets criteria for at least one other hereditary cancer syndrome, including but not limited to Li-Fraumeni syndrome, Cowden syndrome, or Lynch syndrome. “Testing with a targeted panel may be indicated as a cost effective strategy when the individual’s symptoms or family history meet testing criteria for more than one hereditary cancer syndrome. All genes included in the test should be relevant to the personal and family history for the individual being tested,” the draft LCD stated. The draft LCD declared that CMS will only cover BRCA1 and BRCA2 screening for breast or ovarian cancer once in a lifetime—and not for people who are carrying out genetic screening in the general population, people with no personal history of breast or ovarian cancer outside of covered indications, or women younger than age 18. 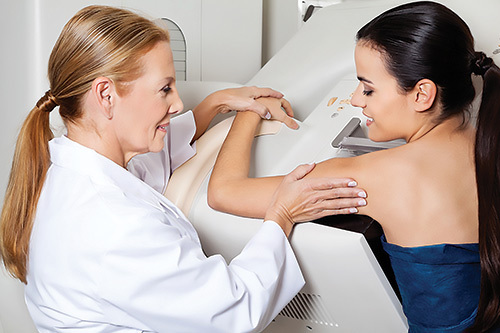 “If a patient has been previously tested for BRCA1 and BRCA2, repeat testing prior to Lynparza therapy is not reasonable and necessary and will not be covered by Medicare,” the draft added. Lynparza (olaparib) is the AstraZeneca poly(ADP-ribose) polymerase (PARP) inhibitor approved by the FDA last year against cancer. Lynparza is indicated as a monotherapy in patients with ovarian cancer and with deleterious or suspected deleterious germline BRCA1or BRCA2 mutation, who have been treated with three or more prior lines of chemotherapy. CMS’ draft also noted that the Patient Protection and Affordable Care Act or “Obamacare” requires private group and individual health plans to cover genetic counseling and, if appropriate, genetic testing for women at risk for hereditary breast and ovarian cancer syndrome as a preventive service with no out­-of­-pocket expense. The draft LCD will be discussed at the combined meeting of the Kentucky and Ohio Carrier Advisory Committees (CACs), set for June 16. The following day, CMS will begin accepting comment on the draft LCD, through August 3.